You'll make 8 cards (2 each of 4 designs) and receive the Confetti Celebration Clear-Mount Stamp Set with your TO GO kit!! These are super-fun cards - perfect for any birthday!! Just look at how colorful these cards are! 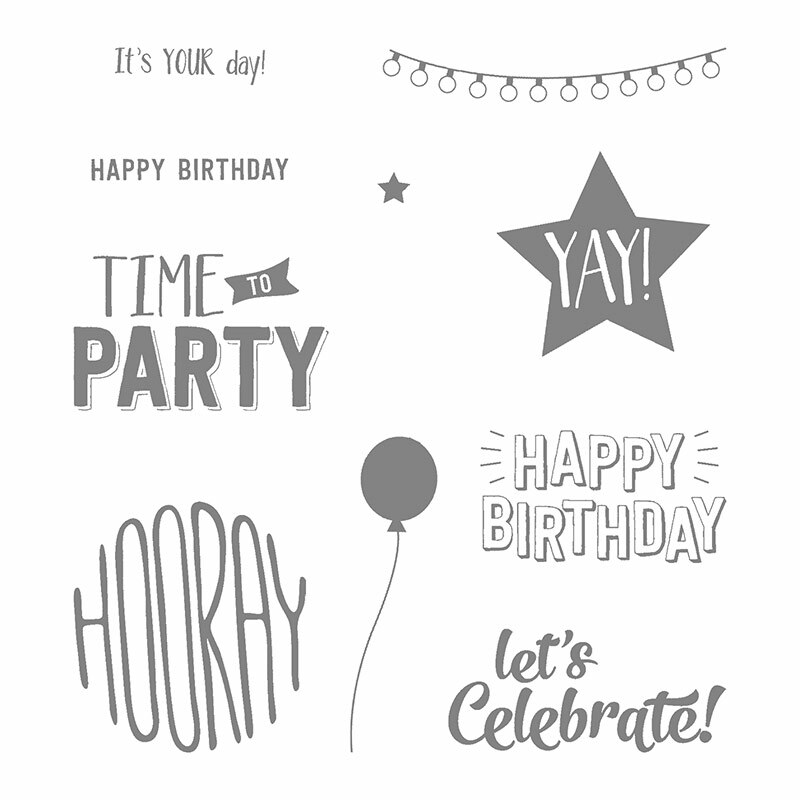 Your Class To Go Kit includes the Confetti Celebration Clear-Mount Stamp Set plus supplies for 8 projects (2 each of 4 designs). Each will be scored and punched where needed and organized for easy assembly. You will use your new stamps along with your own ink to complete each project. A full color, step by step video tutorial is also included. All kits will ship Priority Mail on or before June 7th. Please RSVP and prepay by Friday, May 26.